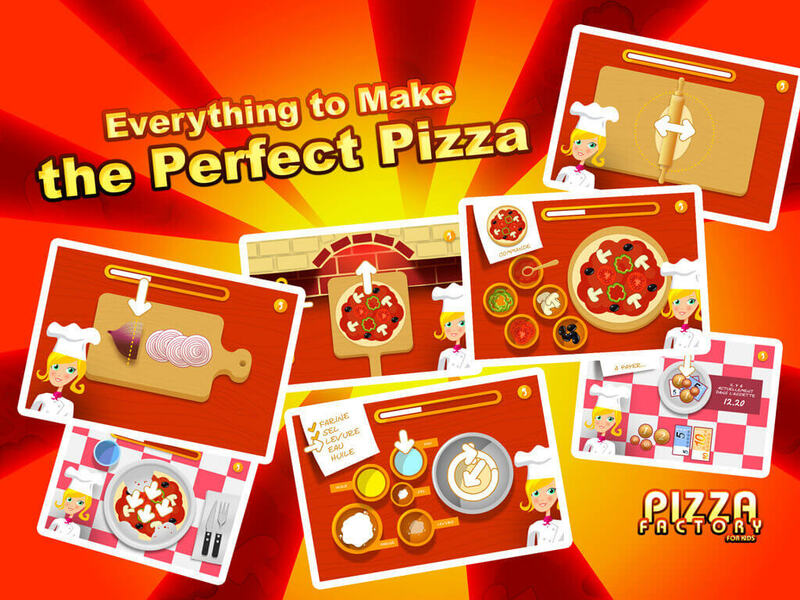 Make a pizza dough, cut vegetables, compile the pizza of your choice, perfectly cook your pizza, and finally to eat and enjoy it… all this is possible with the pizza factory. 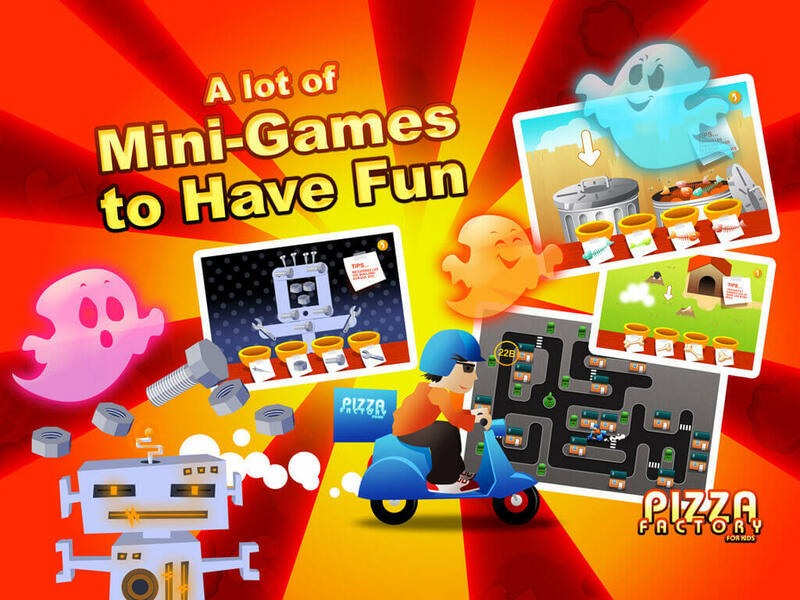 In this game, you will need to realise all the different stages in the preparation of the pizza. 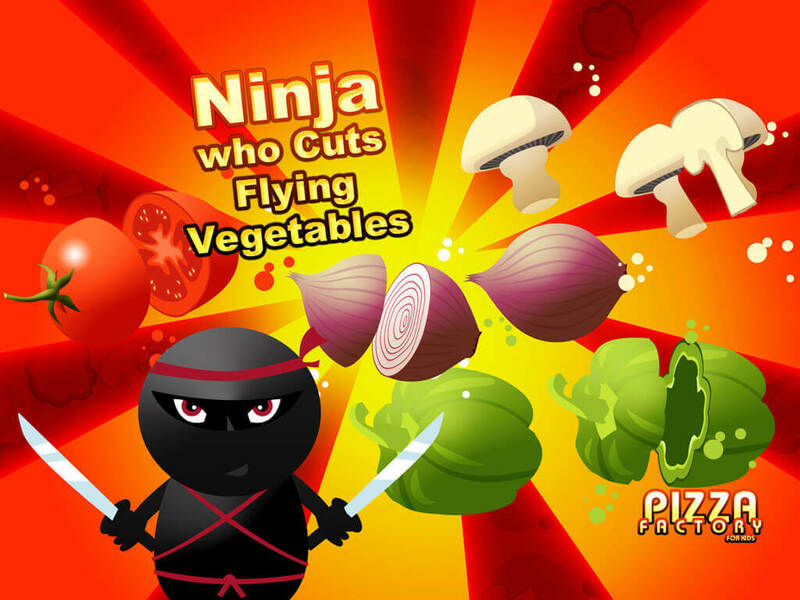 Your precise actions will be of the most importance to realise the perfect pizza. But you are not the only one who likes pizzas. And naturally with ingredients, who are also special. Without forgetting the Ninja Game, where your versatility will be put to the test.The Game of Delivery where your sence of direction and orientation will be tested while riding a scooter.You will also be required to deliver pizzas to aliens in outer-space. 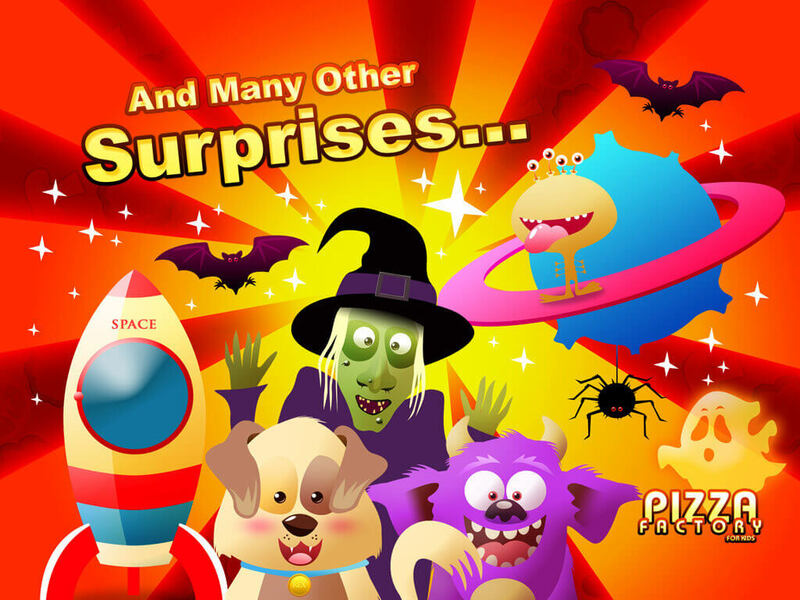 The more pizzas you realise,the more money you will win,which will be very important in the Game Shop,where a multitude of ingredients await you. You can also create your own pizzas in the Creation Mode,where you can admire and savour by going to the Gallery. 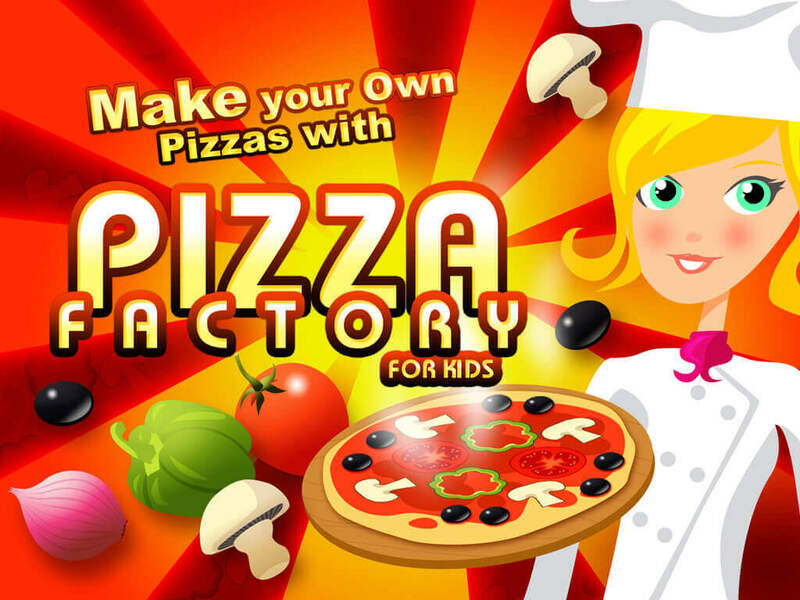 With the Pizza Factory for kids, you will become the King of pizzas.